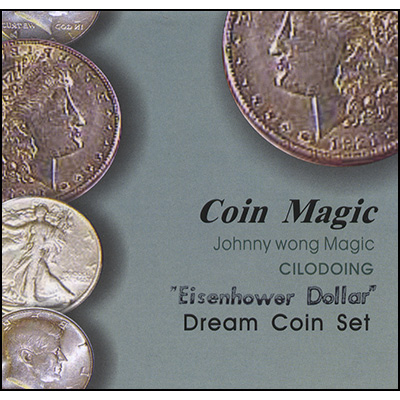 From the creator of SHOPAHOLIC!, "Q" and NEWSWORTHY!comes an organic, all natural magic effect with everyday objects!International Pocket Change (a.k.a. IPC) is an easy to do, entertaining and MIND BLOWING effectwhere your AUDIENCE predicts the amount of pocket change you have in your pocket! 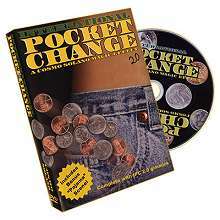 Utilizing a unique revolutionary device you will easily create the named amount of "pocket change"within seconds of hearing the amount! YES! The pocket is turned INSIDE OUT and shown empty after you hand them the change. YES! THEY can count out the change, there are no switches or sneaky steals or adding of coins! YES! It is easy to do and you don't have to be a math whiz!If you can count, you can do it! AND YES It works with coins from nearly all countries! 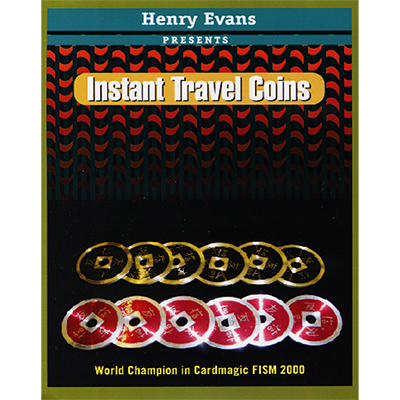 Everything is done in perfectly natural movements as you simply take all the change from your pocket!IPC takes up very little pocket space (about the size of a pack of gum), and can easily, quickly andconveniently removed and reset in the pocket at will. Includes the IPC device and a detailed instructional DVD.